I’d like to say I’ve never met a pickle I didn’t like. But that would be slightly untrue. As far as I’m concerned, sweet pickles don’t count in the category. I will gladly accept any other salty, well-brined, and preserved vegetable, though. In fact, as far back as I can remember, full-sour dill pickles have been the single most important food in my life. There’s no other flavor as satisfying, nor that defines my family and my Jewish heritage, as perfectly as a pickle. Allow me to explain: My mother was a fabulous cook. Growing up in Toronto, I was spoiled by the freshly made meals she prepared each day. My father, on the other hand, could barely boil water. But somehow he managed to become our family pickle maker. 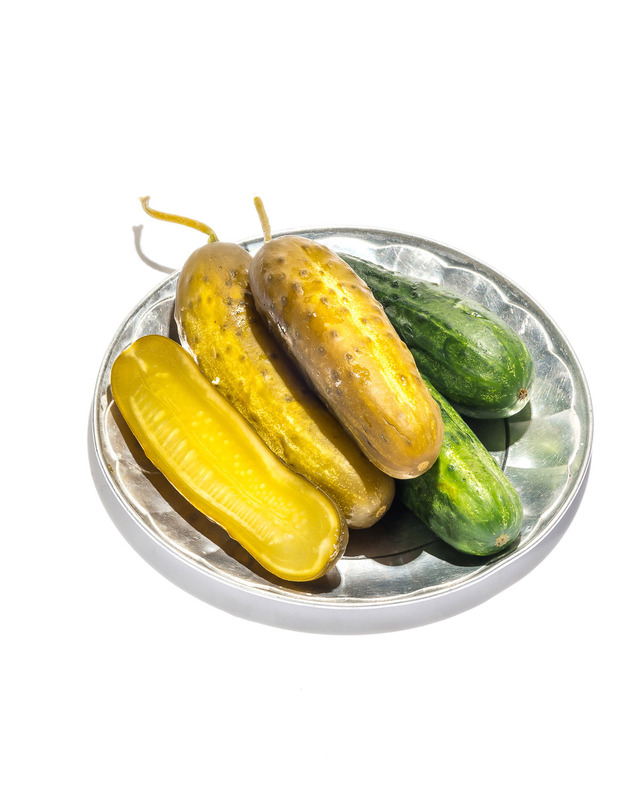 Each year, in late summer, when Kirby cucumbers came into season, my father would drag home a giant bushel from the market, and for two days my mother’s kitchen would become his pickling lab. I cannot imagine our fridge or cellar without a jar or 12 of his full-sour, dill-weed-infused, lip-smacking, face-puckering pickles. 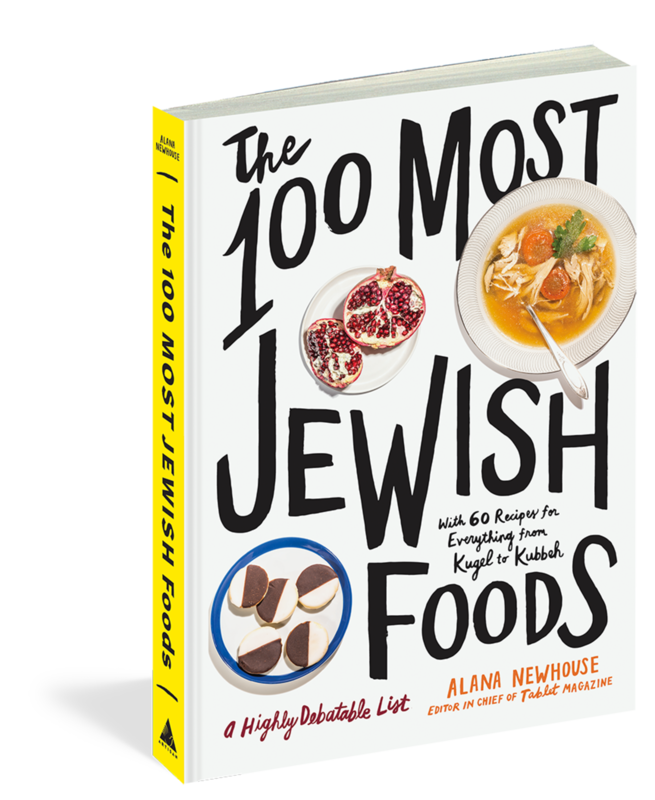 We ate them all year round, after school or as midnight snacks, with burgers or roast turkey, piled onto platters and served every Friday night for Shabbat, but also on Rosh Hashanah, Passover, and Hanukkah alike. No holiday table was complete without them. In my early 20s, I moved to New York for culinary school. One afternoon, tired and homesick, I went to the Lower East Side looking for a pickle to curb my craving. After tasting a few from the area’s last remaining pickle sellers, I landed on one that did the trick. It wasn’t quite as sour as my father’s; its crunchy exterior didn’t give way to a softer, intensely fermented center exactly as I had hoped, but it came close. And so for the next 10 years, I loyally schlepped jars home to my Chelsea apartment whenever time allowed. When I got married in 2008 (to a fellow pickle enthusiast), it seemed only fitting that my father make 100 jars of pickles to give to our guests as a memento, but the logistics of importing so many pickles across the border in their precious liquid proved futile. So I pleaded with my pickle dealer to sell me jars of his pickles to custom-label for the occasion. He reluctantly agreed, and the wedding went off without a hitch. A few years later, we had a daughter. As I watched my friends struggle with picky eaters and infinite demands for candy and sweets, a slow and steady fear took hold. What if my child didn’t like pickles? Thankfully, our predisposed taste buds were passed down to yet another generation, and at 4 years old, pickles are among her favorite foods. We eat them together when I get home from work, on every Jewish holiday, and whenever we see them on restaurant menus. She demands them in her lunch and once in a while for breakfast, too. I couldn’t be more proud. She equates them with her grandfather and in time, I hope she will come to think of them as I do: a vital link to our past and to the generations of Jewish pickle eaters who came before us. Gail Simmons is a Top Chef judge and the author of Bringing It Home: Favorite Recipes from a Life of Adventurous Eating.